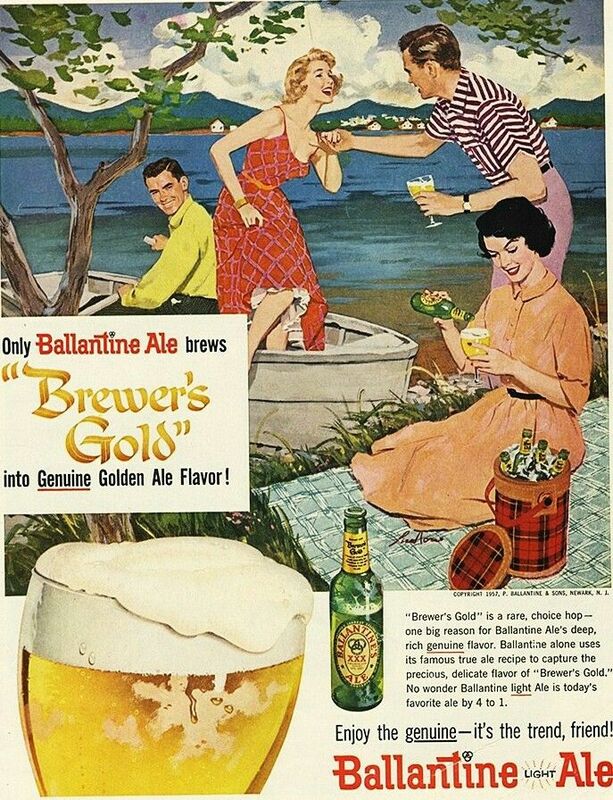 Tuesday’s ad is for is by Ballantine Ale, from 1957. In the 1950s, Ballantine advertised the hop variety “Brewer’s Gold” as “a rare strain of choice hops” and even registered it as a trade-mark, although Brewers Gold is widely available today. In this ad, a couple took a rowboat across a lake and have stopped at a secluded spot, where another couple was waiting for them, having already laid down a blanket and were settled with glasses of Ballantine Ale. 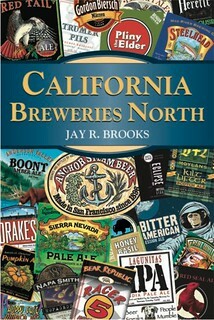 But it looks like they have enough beer to go around. Today is Dave Alexander’s 55th birthday. 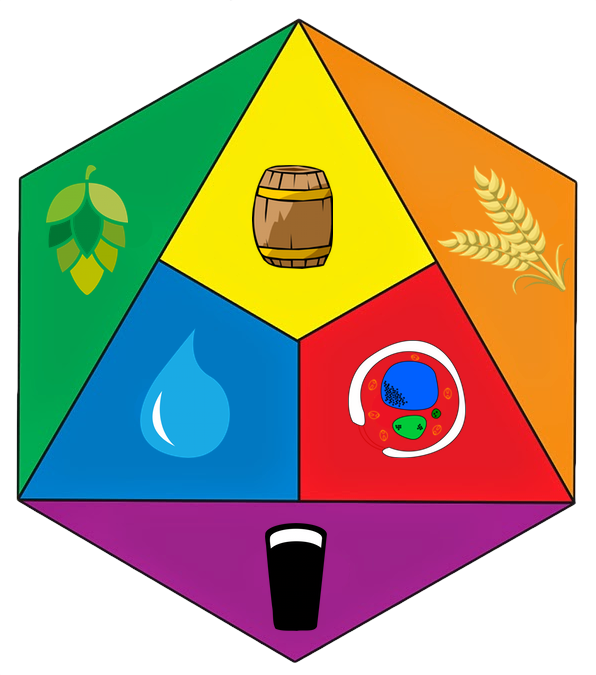 Until not too long ago, Dave was the co-owner, along with his wife Dianne, of the world famous Brickskeller beer bar in Washington, DC. 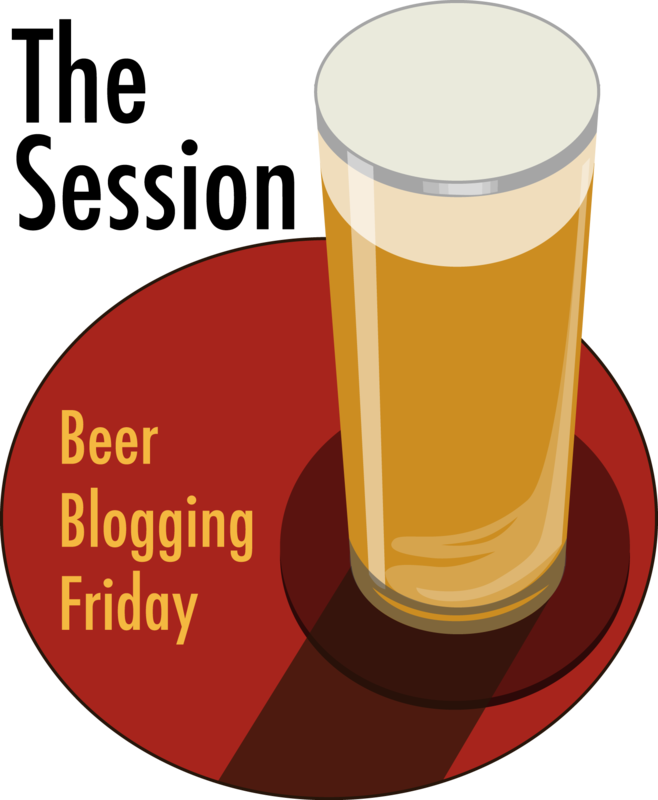 They’re sill rocking the beer world at their other beer bar: RFD. 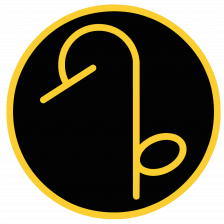 Dave’s also a crack lead guitarist who often plays with the Rolling Boil Blues Band. 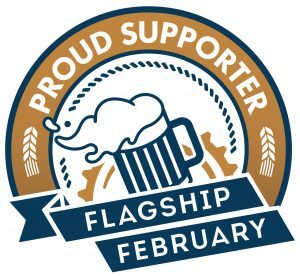 This year at CBC Dave and Dianne received the Brewers Association Recognition Award. After retiring, Dave moved to Nashville, so it was great seeing him at CBC last week. Join me in wishing Dave a very happy birthday. 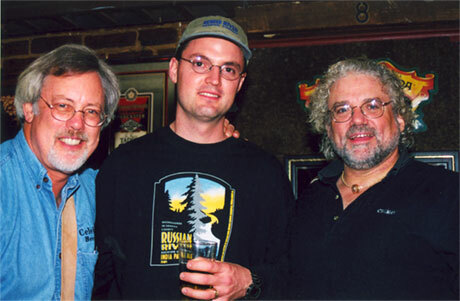 Celebrator publisher Tom Dalldorf, a young Vinnie Cilurzo and Dave at a Brickskeller fresh hop event several years ago. 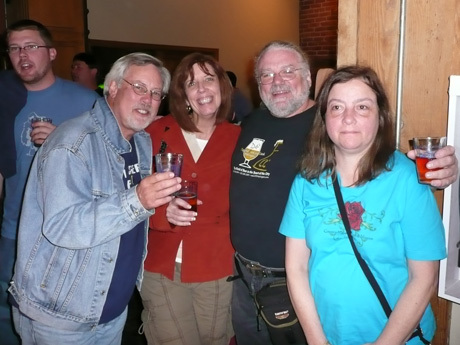 Tom Dalldorf again, with the Beer Fox Carolyn Smagalski, and Dave and Dianne Alexander, at the Brewer’s Reception at Wynkoop at the start of GABF a few years ago. 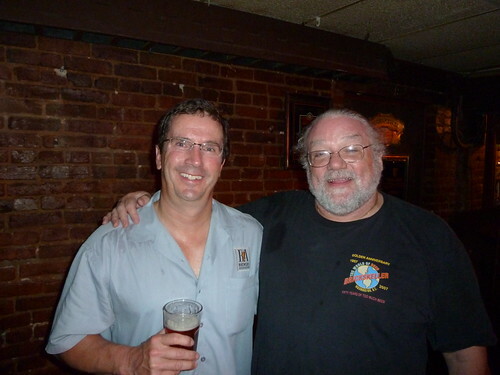 Bob Pease, from the Brewers Association, and Dave at the Brickskeller before SAVOR last year. 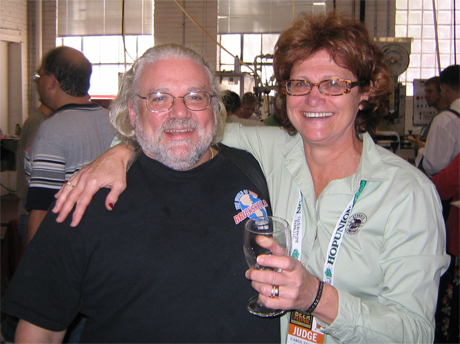 Dave with Carol Stoudt at GABF. Filed Under: Birthdays Tagged With: D.C.